[03 April 2019): British Airways has announced it will fly from Dammam to London Heathrow from December 1, 2019. Tickets are on sale now. The route is the first ever direct flight from Dammam to London Heathrow, with flights departing daily. The service will launch as a daily ‘tag’ service via Bahrain. Flights will be operated by a four-class Boeing 777-200 departing year-round from Dammam’s King Fahd International Airport and landing in Terminal 5 at London Heathrow. Dammam will be the third city in Saudi Arabia that British Airways flies to, with the airline already serving Riyadh and Jeddah with non-stop daily flights. This daily direct flight between Dammam and London Heathrow will cut journey times by three hours or more because passengers will no longer need to either drive to Bahrain or transit through Riyadh for a connecting flight. Return fares start from SR2,480 for World Traveller, SR3,000 for World Traveller Plus, SR11,310 for Club World and SR18,900 in First. 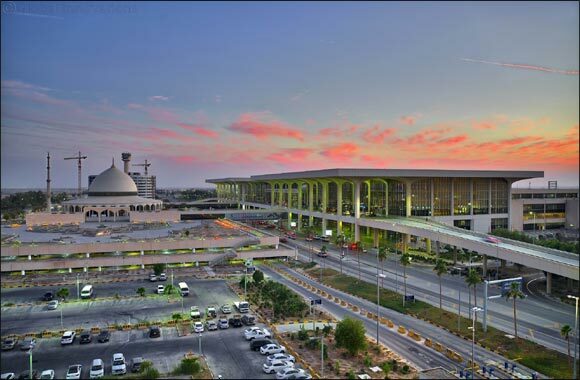 Dammam is one of five long-haul routes being launched by British Airways in 2019, its centenary year. The airline is also launching non-stop flights to Pittsburgh and Charleston in the US, Osaka in Japan and Islamabad in Pakistan, alongside several short-haul routes. As British Airways marks its Centenary year, the airline is set to look to the future with the arrival in July of its first of 18 A350-1000s, complete with the new Club Suite. Forming a significant part of the airline’s current five year £6.5bn (SR32.3bn) investment programme for customers, the airline will receive four A350-1000s in 2019 and will begin a phased refit of its existing long-haul fleet with the next generation Club cabin. Two current Boeing 777s will also receive the Club Suite this year and the airline will be taking a phased approach to its roll-out. Also as part of its £6.5bn investment over five years, the airline is revamping its First, World Traveller Plus and World Traveller cabins, rolling out industry-leading WiFi across its aircraft, opening new lounges and delivering great menus from the world’s leading airline caterers.